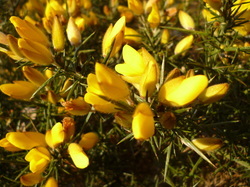 Gorse is a dense, evergreen, spiky shrub, growing to a height of around 2 -3 metres. It's leaves are tiny and only present in the plants early stages; being replaced as the plant matures by long thread-like spines up to 4cm in length. Gorse`can produce beautiful golden-yellow scented flowers, similar in shape to those produced by other members of the pea family (of which it is part of), from December through to mid/late summer but the main flowering period is in March/April. The`flowers have a strong scent similar to coconut. Gorse grows best in dry semi acidic conditions, e.g waste, heath and coastland areas. The flowers can be added to salads or made into tea, cordial or wine. 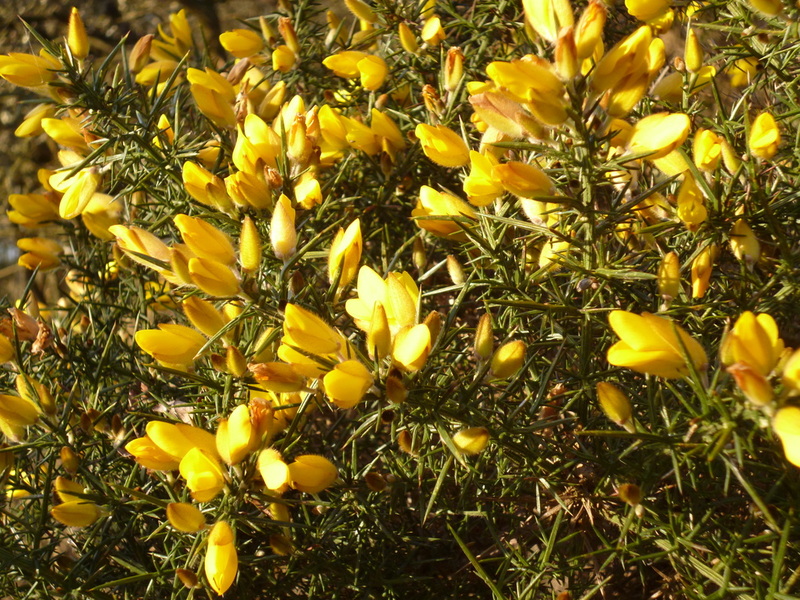 Gorse flowers can be picked and used fresh in spring to produce a aromatic flower tea. put 2 tablespoons of the freshly picked flowers (bruised to release flavour) into a small china teapot and infuse for 7 to 10 minutes. Flowers can be dried for later use; if using dried flowers use 1 tablespoon instead of 2.
mix the water and sugar and bring to the boil, keep boiling for 10 minutes and then remove from the heat. Add the leon juice, orange zest and gorse flowers to the sugar/water mixture, stir and then leave until fully cooled or overnight. Strain the liquid through muslin into a jug, pour into a sterilsed bottle, cap and store. Once opened refrigerate. 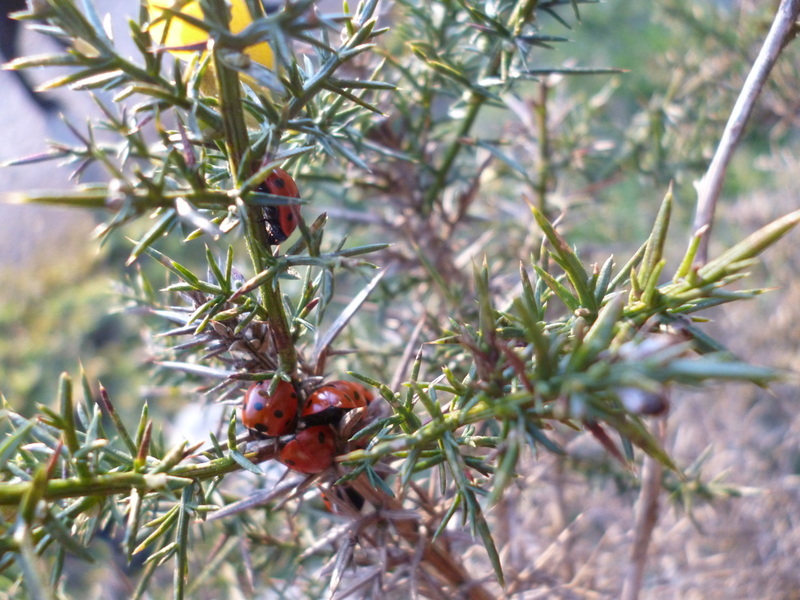 one of the most interesting uses that i found for gorse, whilst doing my research was for its wood and wood ashes. Gorse is grown for firewood in some parts of the country, producing a good crop every three years. The wood is said to burn as hot as charcoal and has traditionally been used in bakers ovens. The ashes are very rich in alkali, and can be used for washing, either in solution or mixed with clay and made into balls as a substitute for soap. The ashes also form an excellent fertiliser for the ground and can be used as a top dressing in the veg patch or added to the compost heap. Being a member of the pea family it is useful in fixing nitrogen in the ground and thereby improving poor soils.